Hotels and apartments provide a high standard of both accommodation and service and have tariffs to suit most budgets. With a plethora of restaurants, bistros, taverna’s and fast food outlets, the choice of menu is vast. If you are feeling peckish don't just pop to the most well-known name in the burger business, rather order a souvlaki or the more substantial gyro, basically hot meat and vegetables wrapped in pitta bread. 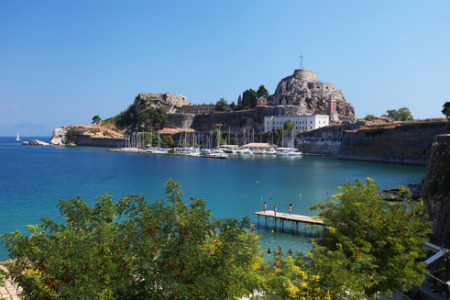 Corfu Town nightlife has venues to suit all from older couples looking for a relaxed spot, to groups of young singles wishing to party into the early hours. The town is a shopper’s delight with hundreds of small shops selling the usual souvenirs as well as many jewellers, windows filled with gold bracelets, necklaces, earrings and rings. The colour of the gold is very yellow and not to everyone's taste.